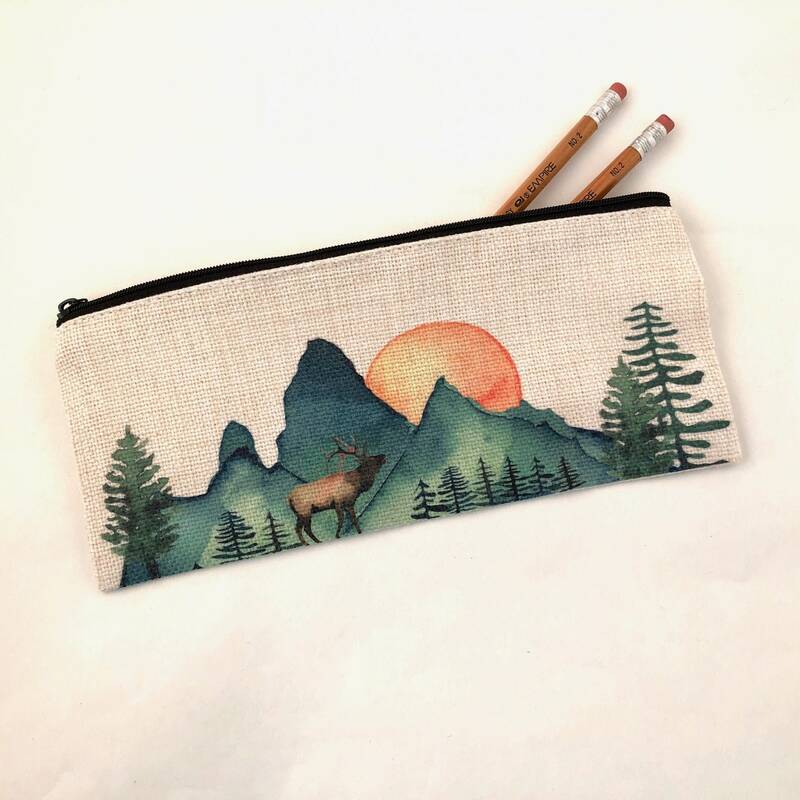 Moon over the mountains with Elk soft Faux burlap pencil pouch. 9"x 4" high quality poly/cotton blend, with black nylon zipper. Perfect for putting pencils, coins, keys, credit cards, and so much more. 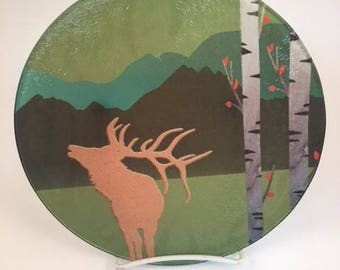 Beautiful watercolor design with mountains, Elk, + moon. Image is only on one side, black metal zipper pull.